Continental Gold (TSX:CNL; OTCQX:CGOOF) is a development-stage gold mining company. With a first mover advantage in Colombia, the Company has a portfolio of high-grade and high impact exploration and development properties. 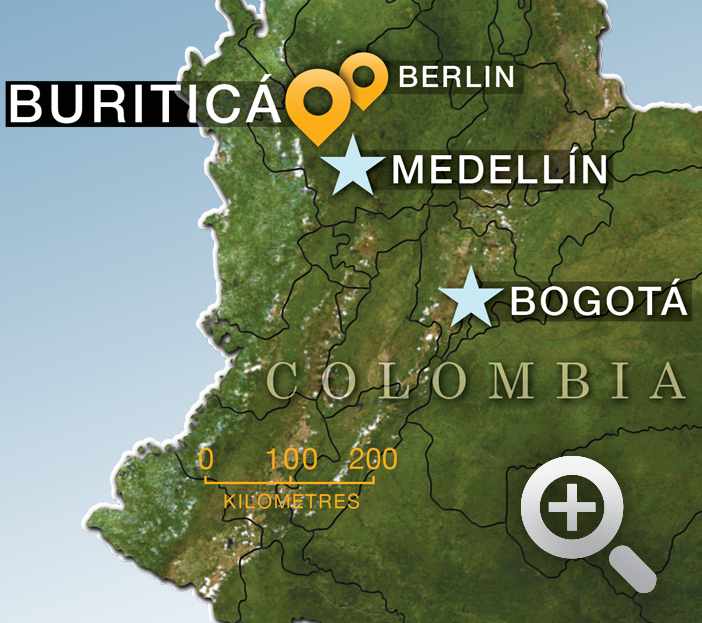 The Company’s flagship Buriticá project is a high-grade and multi-million-ounce precious metal project boasting mineral reserves of 3.7 million ounces at 8.4 g/t gold (13.7 million tonnes), with production scheduled for early 2020. In May 2017, Newmont Mining invested US$109 million at a 46% premium to market to purchase a 19.9% interest. The Company is advancing on schedule with construction of its Buriticá mine and is commencing an aggressive 100,000-metre drill program on the property. 1All references to mineral reserves and the mineral resource estmate and the results of the Feasibility Study are sourced from the technical report entitled “Buritcá Project NI 43-101 Technical Report Feasibility Study Antoquia, Colombia” dated March 29, 2016 with an effective date of February 24, 2016. A copy of the technical report can be accessed under the Company’s SEDAR profile at www.sedar.com or on the Company’s website at www.continentalgold.com. 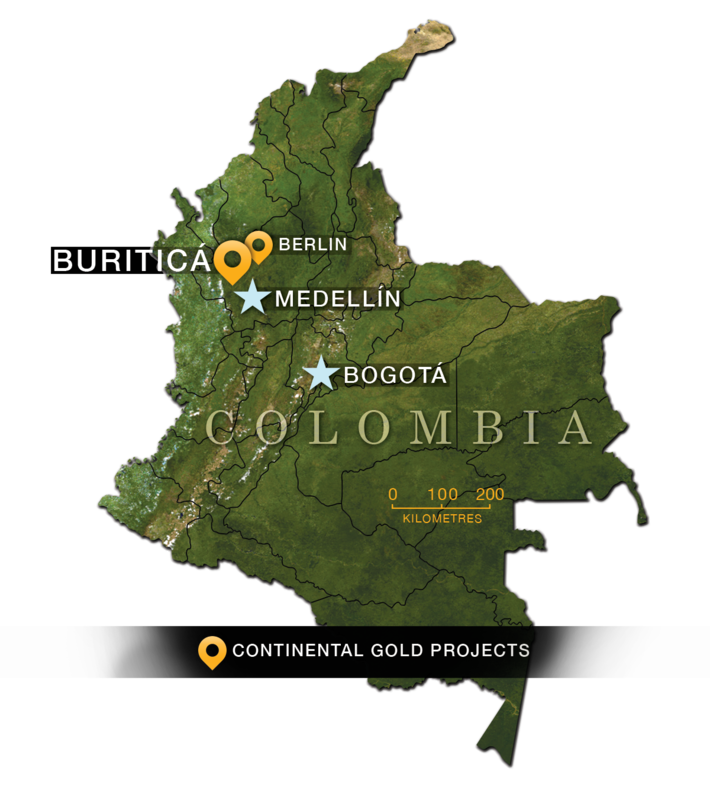 The Buriticá project is Continental Gold’s 100%-owned, fully permitted flagship high-grade gold project located in the middle Cauca belt in the northwest region of Colombia. Easily accessible by an approximately two-hour drive on the paved Pan-American highway from Medellín, Colombia’s second largest city. Comprised of two major vein systems, the project boasts a rare combination of size, grade, excellent metallurgy and growth-potential. 1 NPV is discounted to September 1, 2016. Source: Technical report entitled “Buriticá Project NI 43-101 Technical Report Feasibility Study Antioquia, Colombia” dated March 29, 2016 with an effective date of February 24, 2016, led by independent consultants JDS Energy & Mining, Inc.
We are sorry that your request can not be processed beacause<br> your browser doesn't suport "iframe". Please update your browser first.